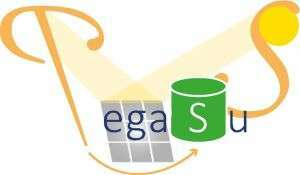 Researchers of Karlsruhe Institute of Technology (KIT) and their European partners plan to develop an innovative sulfur-based storage system for solar power. Large-scale chemical storage of solar power and its overnight use as a fuel are to be achieved by means of a closed sulfur-sulfuric acid cycle. In the long term, this might be the basis of an economically efficient renewable energy source capable of providing base-load power. The pre-development work under the PEGASUS project will be funded by the EU with about EUR 4.7 million. "Solar power plants effectively capture process heat and sulfur might be a suitable storage material to use this power for base-load electricity production," Professor Dimosthenis Trimis of KIT's Engler-Bunte Institute says. Sulfur and sulfuric acid are used in many industrial applications. Numerous chemical processes have already been established for e.g. vulcanization, sulfuric acid production, or flue gas desulfurization. "To use the combustion of sulfur as a sustainable energy source on an industrial scale, we already have a large kit of process technologies." The long-term goal of PEGASUS is the development and demonstration of an innovative solar power tower facility. 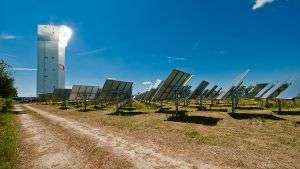 A solar absorber is combined with a thermochemical solar power storage system based on elementary sulfur and sulfuric acid. Compared to current concepts, this promises to reduce costs significantly. The technology will be tested under real conditions at the Jülich Solar Power Tower Facility (STJ) in Germany. PEGASUS is coordinated by the Institute of Solar Research of the German Aerospace Center DLR. The partial project executed by KIT focuses on the technical implementation of combustion. It is planned to develop a lab-scale sulfur burner for stable combustion in the range from 10 to 50 kilowatts at high power densities under atmospheric conditions and temperatures higher than 1400°C. Power density in particular allows for the effective use of sulfur as a fuel for electricity production. "Although combustion often is associated with fossil technologies, we want to show that it also is an important element in the context of the energy transition," Trimis says. Elementary sulfur is produced by the disproportionation of sulfur dioxide, i.e. conversion of sulfur dioxide into sulfur and sulfuric acid. The focused sunlight of the solar power plant supplies the process heat with the energy and temperature required to close the sulfur cycle and to convert sulfuric acid back into sulfur dioxide in the presence of suited catalysts. Sulfur dioxide also is the combustion product of sulfur. In cooperation with the project partners, feasibility of the overall process shall be demonstrated. A detailed flowsheet is planned to be drafted and the optimized integrated process scaled to the 5 MW thermal power level shall be analyzed. It is planned to develop prototypes of the key components, such as the solar absorber, sulfuric acid evaporator, sulfur trioxide decomposer, and sulfur burner and to test them at the solar power tower facility. In addition, the materials required for heat absorption, transfer, and storage and for the catalysts of the chemical reactions are planned to be tested for efficiency and long-term stability. The concept envisaged for solar power tower facilities is characterized by the use of an inexpensive heat storage medium. Use of the stored energy in a burner makes these power plants capable of providing base-load power. In the long term, system costs will be lower than estimated for photovoltaic systems.